Need an address plaque in a hurry? We are proud to offer an attractive solution for your address plaque needs. These plaques are made of high quality aluminum casting, so they are not as prone to theft as a brass plaque. Give your entryway an affordable make over with one of our beautiful fast and easy address plaques. 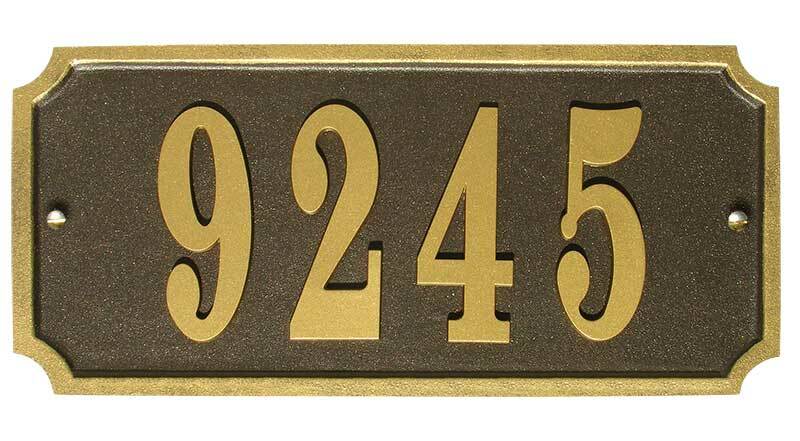 These attractive plaques are made entirely of cast aluminum (including numbers). 4" numbers, up to 5 digits.